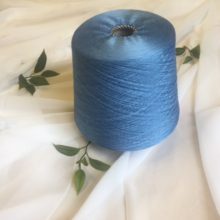 A range of very soft “Chinese” Spun Silk. Ideal for weaving / Knitting. Available on cones. Can be used for weaving or embroidery. Available in 100gram hanks, 5kg packs. Please note that undyed lots can be dyed to order subject to minimum 5kg.